Rustan's Beauty Source wishes to invite you to an afternoon of learning about Fragrances as told by Leif-Erik Hannikainen, son of the Finnish Ambassador. Enjoy this along with delicious treats from Cibo. 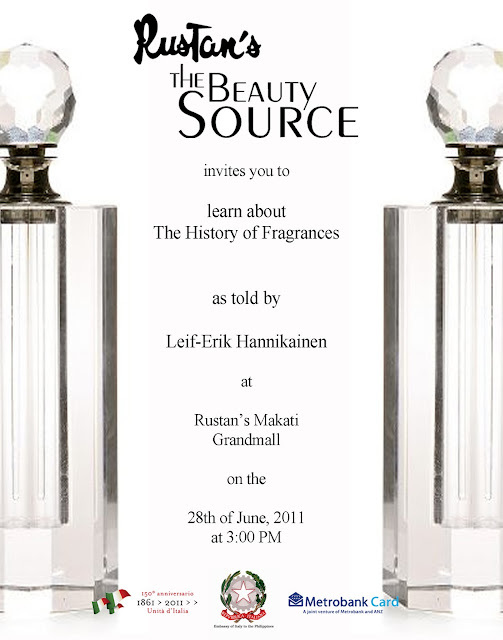 Please RSVP to this mobile number, 0922-8787969. First 30 people to text in or call in their RSVP will get a giveaway at the event.